The Mexico was a fine ship of about 700 tons built in 1905. She was an iron schooner, three-masted and rigged 'fore and aft' and carried a crew of eleven, including the captain Captain Erksine. She was bound from Lagune de Terminos on Carmen Island Mexico with a cargo of mahogany logs to Liverpool. She was owned by Alfred Hold of Frederickshult, Norway. Her cargo was consigned by Bains and Company to David Mistbey of Manchester. The vogage was a tempestuous one, lasting about four months and she had trouble with her steering gear off the Portugese Coast. She made Porta Delgada in the Azores in January 1914 with steering damage, where new sails and a new lifeboat were obtained. The voyage was resumed in early February 1914. As she came towards the British isles, she ran into very rough weather and the captain could not pick up his expected landmarks. Land was sighted and the Captain thought he was off the Welsh coats near the Smalls, but he knew he was out of his reckoning and off course. When he picked up the Hook Lighthouse he knew he was off the dangerous Wexford coast. He made every effort to save his ship but the Mexico was a peculiarly constructed vessel. The Captain was unfamiliar with the Wexford coast and was having difficulty in managing his ship in atrocious weather and in unknown currents. The noon observation of that Friday placed the Mexico about twenty miles south south-west of the Hook. The weather was vile and visibility poor. At about half past one, land was sighted to the North. After a little while, a clearance came and land was spotted to the South. The Coast Guards at Bar O'Lough Cullenstown warned the ship that she was 'standing into danger' but she was drifting to leeward some two knots faster than her Captain thought. When he found himself near the Keeragh islands she would not 'stay' when he put her about. By now they were so close to the islands and with the heavy seas the y found it difficult to get the schooner around. The nearer they got to the islands, the worse the tide became. She went on to the reef, she hit and started to rick. The crew tried to get a mizzen boom over the rocks so that they might scramble ashore but they failed. Captain Erskine saw that doom was imminent. He gave orders for the distress signal to be hoisted and the lifeboat to be made ready. The Mexico struck the South Keeragh Island at about 4pm on Friday 20 February 1914. Fearing that their ship would break up before help could arrive, the crew of the Mexico attempted to launch a lifeboat from the davits astern. One of the crew, a Mexican Indian called Jan Smith, climbed into the lifeboat to unhook the tackle but the ropes got tangled and they had to be cut away with an axe. As the boat was being borne away, another sailor, a Norwegian called Hilmar Poulsen, jumped into the lifeboat. They tried to return to the Mexico to rescue their shipmates but the rowlocks of the lifeboat had been swept away and they could not control the boat. When the lifeboat was driven ashore near Cullenstown strand it capsized. The two men were strong swimmers and managed to get ashore where they were looked after and were later brought to the Coastguard station at Bannow. The Mexico was now being badly pounded and the Captain knew she would never sail again. He tried to retrieve the logbook from his cabin but by this time the water in the cabin was too high. People in Cullenstown and Fethard had observed the Mexico since early afternoon on that fateful Friday. 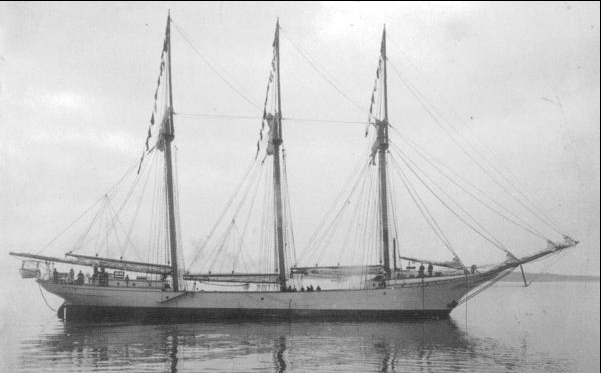 William (Bill) Banville was minding cows in a cliff field in Fethard when he saw the three-masted schooner in danger near the Keeraghs. He rushed to report the impending disaster to the lifeboat secretary, George Bassett. A shot rang out to signal the launch of the lifeboat and the crew of fourteen lifeboatmen was quickly mobilised. The tide was out so the Helen Blake couldn't be launched at the boat-house slip. She was brought on her carriage down to the back of the dock and launched there. Everything went wrong - running gear fouled, ropes got caught - it was as if the boat herself sensed disaster. However, within forty minutes the Helen Blake was on her way. Local people watched her progress from a large brass telescope set up at a house on shore. The sea was terrible. As they reached the Mexico disaster struck. A huge wave swamped the boat and another followed. A third massive wave capsized the Helen Blake and smashed her to bits on the jagged rocks. The crew was flung into the sea. Two men, John Mac and Garry Handrick managed to catch hold of some nearby rocks and were able to crawl to safety on the north island. Another man, John Kelly, was smashed against the hull of the grounded Mexico. The men aboard saw him and threw him a line. Even though he was losing consciousness, Kelly managed to grab the line and was hauled aboard the Mexico. Two other men, George Crumpton and Richard Bird were carried by a huge wave on to the shore and managed to find safety. When the crew of the Mexico saw the men on the island they called out to them and threw them a line. Richard Bird caught the line and he and George Crumpton used all their remaining strength to haul the hawser attached to the line ashore and tie it fast to some rocks. Along this hawser, one at a time, the crew of the Mexico were brought ashore onto the South Keeragh island. The Fethard men were delighted to see that their friend, John Kelly, was with the Mexico crew. They could see John Mac and Garry Handrick on the other island. Tragically, of their nine other friends who had set out with them that terrible afternoon, there was no trace. In the greatest loss ever suffered by the Irish RNLI, lifeboatmen Christopher Bird, brothers Thomas and Michael Handrick, Patrick Butler, William Bird, Bill Banville, Pat Roche, James Morrissey and Patrick Cullen were gone. The Kilmore lifeboat The Sisters headed by Coxswain John Kehoe and his crew put to sea at 5.30pm. She fought her way to the scene, making very poor progress against mountainous seas. She kept trying to get to the island until late evening, and then she was forced to return to her station. As Friday night came on, the storm got worse and worse. On the island all twelve men were now together, without any type of shelter. All their clothes were dripping wet. The men huddled together for warmth and shelter and wondered would they survive till morning. Sadly, as Saturday morning dawned one of the crew of the Mexico, a young Portuguese sailor called Antoni Levi, who had joined the ship in Portugal, died from exposure. Using an axe that had floated ashore, a shallow grave was dug for him by the other men. Once again on Saturday morning, the Kilmore lifeboat attempted to reach the Mexico. With strong gales and heavy seas they again had to return to their station. 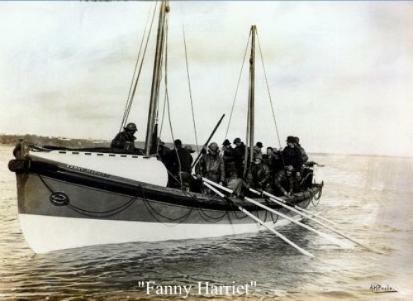 News of the disaster also reached Dunmore and the men of the Lifeboat Fanny Harriet gathered to go to the rescue, despite the terrible weather. Although they reached the Keeragh islands they could not get a line to the island. The Dunmore lifeboat had no tug and had to row against the mountainous seas. After many failed attempts to get a line to the island, by 4pm they decided to return to Fethard. At about half past seven on Saturday morning, Captain Busher of the Wexford tug rang Edward Wickham, Coxswain of the Wexford lifeboat stationed at Rosslare Fort, informing him of the wreck. Within an hour the crew of the James Stevens was assembled and ready for sea. The Wexford tug took the lifeboat James Stevens No. 15 in tow and headed for the Keeraghs. 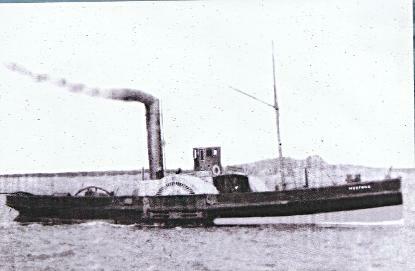 The Wexford tug under Captain Busher towed the Rosslare Fort lifeboat around the Barrels and Coningbeg lightships in order to get the lifeboat into windward of the Keeraghs. They reached the island about 2pm and the tug cast off the lifeboat. The crew of fifteen, led by Edward Wickham, rowed the lifeboat to within two hundred yards of the island and then anchored. Like the Dunmore crew, they tried for three hours to get a line to the Keeraghs without success. The weather was getting worse and worse. At about 5pm Edward Wickham returned to the tug as it was impossible to continue. The tug took the lifeboat in tow and headed for Waterford. At the Hook, the tow line snapped and the men in the lifeboat had to row all the way to Cheekpoint and did not reach there until 10.30pm that night. By Sunday the gale still raged, with the weather much worse than on Friday. 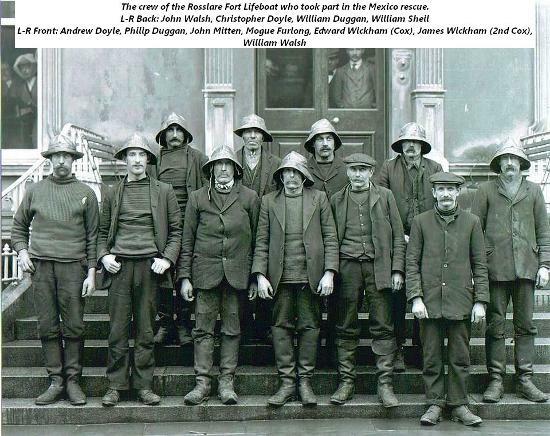 It was feared that the crew of the Mexico and the survivors of the Fethard lifeboat would be washed off the scanty and precarious footholds by the mountainous seas or they would die from exposure. By Sunday Commander Thomas Holmes RN Chief Inspector of Lifeboats arrived from London and took command of the situation. By 3am on Monday the Wexford tug under Captain Busher with the Rosslare lifeboat in tow left Waterford harbour. The Dunmore lifeboat also reached the scene and both lifeboats dropped anchor inside a reef of rocks to the east of the island. However, neither boat could get a line to the marooned men. By this time, the Coxswain of the Rosslare Fort lifeboat decided there was nothing for it but a desperate attempt. The perishing men could be left on the South Keeragh island no longer. He had a small punt belonging to the tug in tow. She was strong and reliable and in his opinion, better suited to the hazardous work in hand. He called for volunteers to accompany him and every man in the lifeboat responded. It was decided that Jem Wickham (2nd Coxswain) and Bill Duggan (Bowman) should attempt the rescue. Stripping off their seaboots and oilskins with nothing on but their shirts, trousers and lifebelts, they jumped into the little punt. As the line was paid out, she drifted down towards the spot where the poor sailors were stranded. With an oar apiece they guided her through the peaks of outjutting rocks as they came through the surf. They got one man on board and then another. As they reached the shore, one of the men had to keep the punt steady while the other lifted the exhausted men onboard. 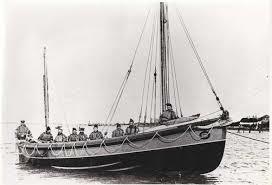 The men of the lifeboat hauled on the line and the first of the starved, freezing and exhausted men were got aboard the James Stevens. Again they returned and got more men aboard. As they made their way through the rocks the punt was driven onto a rock and a hole was stove in her bottom. Coxswain Edward Wickham took a loaf of bread from the locker and wrapping it with an oilskin, gave it to Bill Duggan, a man of powerful physique and strength, to plug the hole while Jem Wickham steered. Two more trips under this stress were necessary to take off all the men still alive on the island. The Rosslare lifeboat had saved ten men and the Dunmore boat two. 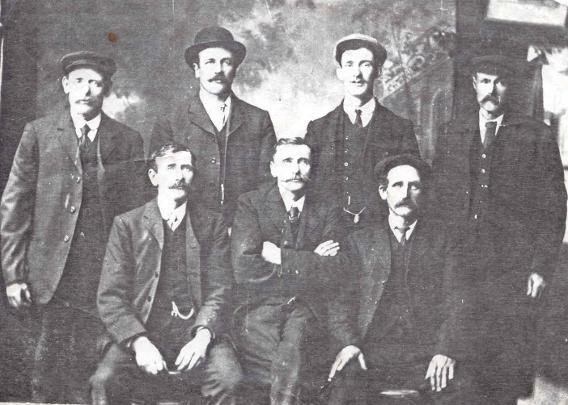 Edward Wickham (Coxswain), James Wickham (2nd Coxswain), William Duggan (Bowman), Philip Duggan, Christopher Doyle, Andrew Doyle, Mogue Furlong, William Sheil, John Walsh, William (Jess) Walsh, John Mitten. John MacNamara (2nd Coxswain), George Crumpton, Richard Bird, Garret Handrick, John Kelly. 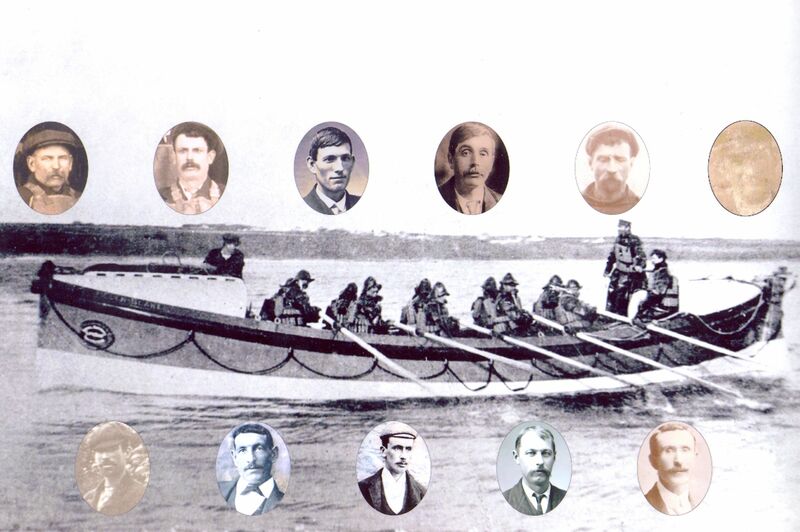 John Kehoe (Coxswain), Peter Brien, John Walsh, Nicholas Wickham, Matthew Wickham, Richard Wickham, Richard Rochford, Philip Walsh, James O'Flaherty, James Hayes, Nicholas Cousins, William Blake, Walter Power. The Fethard lifeboat survivors were put ashore at Fethard, a village now overwhelmed by sorrow and mourning. The survivors of the Mexico and the Rosslare boat with the tug proceeded to Waterford. They were cheered all along the route and by thousands on the quays of Waterford. Commander Thomas Holmes, RN, Walter Power, James Wickham and William Duggan were given silver medals and votes of thanks on vellum from the RNLI. Edward Wickham received the second service clasp and a vote of thanks. Captain Busher of the Wexford tug received £10 and a voteof thanks. The five Fethard lifeboat survivors got £3 each and a vote of thanks. 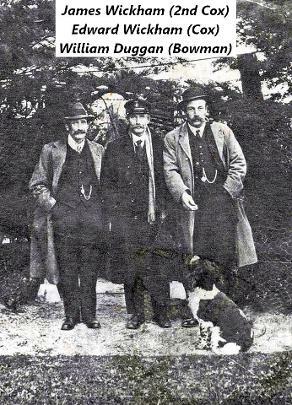 The King of Norway gave silver medals and diplomas to the five Fethard survivors and to Commander Holmes, Walter Power, Edward Wickham, James Wickham and William Duggan. The King of Norway also donated money to help the widows and families of the lifeboat men who lost their lives in the rescue. A very special award was made to the two men who manned the punt that achieved the daring rescue of the stranded sailors. 2nd Coxswain James Wickham and Bowman William Duggan were each decorated with specially struck All Ireland GAA Gold Medals to honour their brave deeds. Never before or since, was such an award made and they remain the only men to be so honoured, except on the field of play. What one may ask became of the lifeboatmen after the Mexico epic? 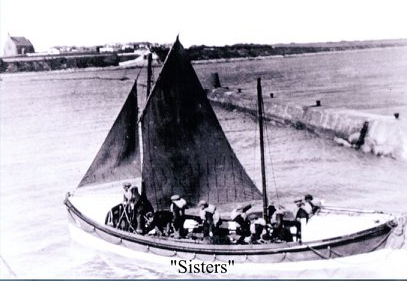 With the washing away of the Fort in 1925, the lifeboat was based at Wexford and Ned Wickham continued as Coxswain until 1927 where her new base was located at Rosslare Harbour. There, James Wickham 2nd Coxswain took over command. Meanwhile his colleague Bill Duggan never seemed to recover from his ordeal in holding the plug in the holed punt during those terrible journeys to and from the Island. He died still a young man in 1932. Jem Wickham during his long career as Coxswain added many further honours to his long list. He died in December 1953 aged 78 years. His colleagues in the Mexico epic mostly returned to their callings of fishing, fowling and carpentry and many lived to advanced ages. The last survivor was Andrew Doyle of the Burrow aged 78 years.